Do you advise I remain silent while people like Chen are so disproportionately attacked? I guess not. This is your first foray into the action of the MC "good or bad?" debate. However, what I have learned in the past (and what drives my reticence) is that these sorts of "flame wars" are "un-winnable" and don't really add much of value. Both parties feel wronged. Both parties have a "colorful" way of communicating. However, there is one concerning allegation of a stolen bike - and, my guess, is that the VIN tampering is NOT indication of a stolen bike but of a poorly run operation (whereby he needed to change his VIN for some reason after having stamped it). So, I guess addressing that one concern seems warranted. Mountain Chen has the reputation (I don't know whether it's deserved) of fulfilling party B's order from party A's bikes - my guess is something like this happened. You are fond of Churchillian quotes, well here's one, " You have enemies? Good! That means you have stood up for something at sometime in your life!". You are also correct that I do not shrink from controversy. "The desire for unquestioning harmony and consensus in public life, does not breed good citizens, but excellent sheep!" (Winston Churchill). Actually I only know about 3 quotes - so I have to use them as often as I can so that I sound more erudite than I really am. You have me squarely beat in the quote department. The quotes you chose above are certainly on point and well worth consideration. Yeah, I do seem to have a talent for stirring up the more extreme opinions! But that's not so bad if it encourages more thoughtful debate from people like you! It is unlikely that you would have contributed your rational, informative, well reasoned testimony of dealings with PRC merchants like Mountain Chen, without the goading of controversy. Hmmm. Well, the way I see it is not the "goading of conspiracy" but a decision to try and find a way to restate my position and "tamp down" the flames. I hope my post was informative and useful. Also, you'll see that there are two other posts by me near the start of this behemoth of a thread. I am also, of course, in an awkward situation - Mountain Chen is a competitor so I have to choose my words with even more care. All the best. John H.
Remember: " 'lectric for local. diesel for distance" - JTH, Amp Bros || "No Gas. Both parties feel wronged. Both parties have a "colorful" way of communicating. Agreed, this sounds a very plausible explanation, (I am informed this was not unknown by Vectrix distributors). Mountain Chen's detractors, could learn a great deal from your analysis. Actually, a more moderate and accurate approach by them, would put more people of dealing with him, than all the ranting. Damning people with faint praise is often more effective. Er...just from the Dictionary of Quotations! Thank you for you breath of Sanity! Oh, after re-reading this entire thread, one curious aspect occured to me. There are no complaints about E-Fun, but no really positive remarks either. Interesting. Ruairi made mistake too,he did the same buy from ERATO too.......... Erato belong to three parts,me, Efun owner and Shanghai Hua Ri group during 2005-2007. I am already very kind to provide free parts based on "Freight collect" because of only 1/3 responsibility ! I think both crazy dogs eat wrong people because of hungry ! Pls delete the wrong web www.mountainchen.info asap and correct your words. your mistakes already make me lose too many clients and reputation ! Erato belonged to the two brothers and they rent workshop from Shanghai Huari in 2005 and 2006.The two brothers separated in Autumn 2006. The Efun founder,Amoyee Chen left shanghai Huari in Oct 2006 and Mountain Chen took over all of the Erato business in Shanghai. Mountain left shanghai and set up XIAMEN ZAP UNTIL AUG 2007.Mountain Chen took the money from ELECTRON、 REDKING73 and shipped the goods to them after our spliting which is nothing to do with EUN,neither to do with Shanghai Huari.Huari group just rent the workshop to ERATO was also innocent from his transaction with ELECTRON /REDKING or any ERATO's buyers. I'd just like to point out that not _all_ of his (Erato's) vehicles are substandard. I've got a Jan 2007-imported Erato (bought in August 2008, branded 'Sakura S50') and apart from a wide range of minor build-detail issues it's been very good. Everything works as designed and the SLAs did 3,300km of commuting over 16 months, which is about what one would expect. I don't actually know what brand they are: no branding is visible. The controller is overspecced for a 48V machine, having 100V parts. SUKURA is not maded by me since it born,it is maded by EFUN owner and battery is equipped by buyer himself,you make ask this question to the fat UK BOSS. SUKURA purchased from Amoyee Chen/EFUN with TAIWAN Battery since end of 2006 . The battery werenot equipped by the buyer himself.Their orders were nothing to do with Mountain Chen. If MR MC doesnot know the case pls keep silent,no one needs lies and false information. wookey,if you need any help or information about 'Sakura S50' scooter pls contact Dan in Sakura or PM us via efun_ev [at] 188.com. Marcopolo,thank you for your interested in our story. Efun is a new leading company of high powered electric scooters which focus on quality and production.we are the OEM factories for many bigger improters. we have good relationship no matter he is an individual buyer or a big distributor , we have smooth communication no matter he is from Europe or America. Never need to fight here.if you read more here,you will see our products receiving many good comments in this forum.We are the supplier(and the only supplier) of 2008/2009Zapino、XM5000Li、XM4000Li、EVD in the following links of this Forum.should you have more questions pls PM us via efun_ev [at] 188.com also.Thank you! This story is a fantasy compared to some of the nightmares I have heard and experienced with Mountain Chen's products. Although it looks almost identical, it is not. You can be assured that the lowest quality parts are used. The customer service is 99% bad all the time. Especially since most of them come from the distributor API aka Xtreme Scooters. .
As a point of reference - API/XTreme appear to have fired Mt Chen and moved to EFun in late 2008 or early 2009. The XM5000Li is an EFun bike and has given me flawless service for the past 1050 miles since new. It feels rock solid up to it's 62mph top speed. The 2009 XM3500Li, a Chen bike, still has the misaligned rear brake and huge speedometer error. The Chen bike starts to shake above 38/40mph and only feels solid below that speed. UPS freight (API's new (early 2009?) freight carrier) delivered both to me in excellent condition. The 3500 was 100% undamaged, while the 5000's luggage rack was cracked and quickly replaced by XTreme. XTreme has been working hard on fixing their quality challenges. As far as I can see, the single largest jump in their maxi scooter quality came when they moved to EFun. Who's the actual OEM that builds the new nice Zapinos? It's definitly not Starr or Schneider that was responsible for it. It's the hard working engineers, product managers, and assembly works that made it a quality product. We should get together to form a large enough importer/distributor and sell to the many eco dealers that are popping up around the country. That was the HESC (Hypothetical Electric Scooter Co) that was started last year but sputtered..
You see, we are growing and improving together with our disctibutors.With the joint efforts of our customers, we will work harder to produce better and better products .Thank you for your attention! Thank you for your most interesting and informative post. I feel I should clarify one item. When I said I have heard nothing good or bad about E-Fun, I was only referring to postings on this thread. In fact I have heard a great many excellent things about the growth and dedication of the management and products of E-Fun. E-Fun's reputation for reliability and quality, is solidly growing with importers and consumers alike. This reflects great credit upon the developing skills and experience of E-Fun management. We all appreciate that pioneers like yourselves encounter many difficulties in such a new industry. We also admire the hard work and enterprise of E-fun management in continually improving and developing new products, while still trading profitably, in the current difficult economic conditions. If you could spare the time, I am sure I speak for everyone, (especially budding importers), if you could, from time to time, share your experiences as a leading EV manufacturer. 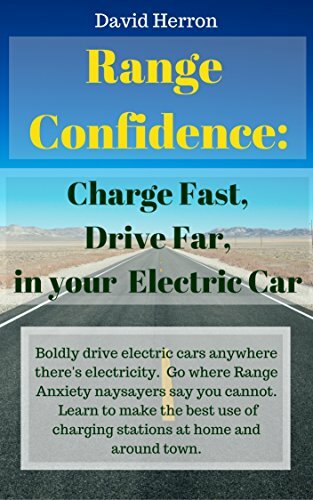 We would all appreciate, any guidelines you and advice you may wish to pass on that would assist western importers to avoid problems when importing EV's from the PRC. Thank you for your kind invitation,Marcopolo!we will come here more frequently in future to share the experiences and technologies in this industry. if we could do something to contribute this Forum's readers ,it will be our greatest honor. FYI.Due to the lack of a good BMS,we used to recommend our customers with qualified lead acid battery for first consideration .in 2010,we will focus on Lithium scooters instead because after some years' researching,testing and developing,we finally come out the REAL BMS now. our BMS not only protect over charging and over discharging,but also balance the cells and control the temperature which are the key technology for a real BMS.With this good balance system,we have been repairing some unbalanced pack sucessfully and the battrery life will be much prolonged. This is a real breakthrough for our lithium scooters and we are sure it will make the EV enthusiast excited.Anyone who needs more information about it pls feel free to contact us. One question, when are we going to see something about the E7000-Li? I have seen it on the front of your web page for a while now, but little information, nothing in the media. Amoyee, thank you very much for showing up here and clarifying some things about who supplied what to whom, when, and for volunteering to supply information. It is always good when a manufacturer is prepared to supply technical details. I have sent mail, and will post results on this and other boards. I just plan to quit from this forum,but another "fishwife" jump out,so that I have to come again and make something clear. This post didn't come from my brother because AMOYEE have "No English basis".I don't know if it is the meaning of my brother,but maybe,his wife is always efun's spokesman and actual control. Come back to old story,Yes.........Original Erato is belong to Amoyee chen and Mountain chen and operation in Shanghai Hua Ri group. Amoyee's wife,who always post here,at that time was responsible for exporting procedure and after sale service. Mr Pete and Ruairi,pls open the motor or controller on your scooter and show the photo here,compare with the photos on www.efun-ev.com ,whose technology on your scooters ? who just want to escape the responsibility ? Yes,being a marketing manager and I am the main contact in Erato with oversea clients,I had to face all kinds of clients' complain and attack because of bad ERATO technology , that' why I was so famous on forum 3 years before,including the web mountainchen.info shows all complain happen in ERATO. But Amoyee and his wife just hide behind the true because no one knows who is actual EROTA maker. Is it fair for me to bear all compensation ? I think prodution/QC manager should have more resposibility in quality issue. Actually it is Erato technology on Motor Controller which cause the battery broken,I believe there are a lot of professional experter here,lead acid battery already hundreds years and very mature technoloy,no matter silicon battery,Greensaver battery,Electier battery or Sukura Japanese battery,are all killed by bad Erato MC technology,it is nothing to do with battery quality. This Erato patent MC still kill battery by now ! Even kill the best expensive BB battery on ZAPINO 2008 too,see attached proof....no more orders to Efun from ZAP or Xtreme since 2009. Pete,pls change the web mountainchen.info into Erato.info and I will compensate one set of new greensaver battery next shipment to UK...we ship containers to UK every month.one set of battery is nothing to me,I just want to clear whose responsibility. Don't attack to Xiamen ZAP any more,it was set up at the end of 2007,who use exactly different MC technology with Erato and we have own motor plant, see attached registeration document,it is nothing to do with Erato. Anyway,I think update bulk production photos and customs export data have proved who has better technology and growing business,we keep hundreds pcs scooters exporting every month, Buyers are always the best fair judge on business ! Here are today's photo...... another season starts.... no need to lose time here ! @Mountain Chen "Pete,pls change the web mountainchen.info into Erato.info and I will compensate one set of new greensaver battery next shipment to UK...we ship containers to UK every month.one set of battery is nothing to me,I just want to clear whose responsibility." And what about the parts and labour owed to me? I had to have a quad re-wired completely as it had 2 forwards and one reverse. No neutral. Wired by a fool. It also had no fuel guage / voltmeter. I also had the incorrect batteries in the quad. Lower AH than promised and paid for. Will you compensate me also in Ireland so that we can part company finally or do I have to set up a website also? I will list the serious problems with both atvs and moped that were reported upon delivery. And no, I will not pay the freight for parts that I am long overdue. I do not wish to sound condescending, and it's nice to see the two of you at least negotiating, but why not negotiate in private? In that way no one loses face? Best of Luck. When I read Mountain Chen's recent posts I feel I've stumbled into a family feud!! Fascinating, but a bit embarrassing. But to ensure the thread stays on topic, I would like to invite E-Fun, and those interested in E-Fun products, to post on a new dispute free thread, since this thread has really become more about the battle between Mountain Chen and his unfortunate customers than a comparison of products. Here is a photo on testing machine for your reference top speed 145kmph. on real world it goes 120kmph .range is decided by the battery and its capacity. If you have the time and chance come to China and visit our factory,you can take a testing ride on rear world,it is really FUN! wookey,yes,we received your email and will reply you accordingly by email. No problem,if Pete stop the website which serious damage my business,I will send you replacement parts after compensation of Pete's battery. But first you should tell public the true that scooters were bought and damaged by ERATO instead of Xiamen ZAP....and show some photos of the motor and controller here ,pls ! Mountain, I dealt with Erato. I dealt with you. That's never been in dispute. I couldn't care less if God is a private shareholder / silent partber in your business, I was sent products that were faulty. I am not the world's policeman. I just want financial restitution. Plain and simple. Negotiated in private on and off for about 18-24 months. Obviously, didn't work for me or Electron. When I saw him going public, I said sure I'll have some that too, thanks very much. I watch eFun with interest, I like what they do and how they do it. I watch Mountain's products too. They have great potential. I will always speak the truth. I have always given fair dues to Mountain's products; where it was due. And attacked vociferously where it was not. I would do the same with ANY manufacturer who was attempting to pull fast ones on me. I documented how no stone was left unturned by the new e-max to ensure a sample of mine was the best it could be. That is what is expected if one is opening up a market for a manufacturer. But, once bitten, twice shy for me with certain EV manufacturers. Period. And there's a list of them, not just Mountain. Please check your PM box. Marco, I don't know if've actually read the whole thread? I suspect not, because earlier on there are various hints that the break-up of Erato was not an amicable afair. Clearly we have now had a much more explicit explanation, which is fascinating, but perhaps, as you say, a bit more 'airing in public' than is really desireable for any parties. I hope they can leave it at that. I am glad both parties have stayed (perhaps remarkably under the circumstances) in the business, as they are both producing competitive (in a good way!) products. I guess the acrimonious split may be a contributory factor in Redking and Electron's problems (or maybe not - it's hard to tell from here). Hopefully who is responsible is now sufficiently clarified that they can get some satisfaction now in private negatiations, and the Chen brothers/two companies can manage not to enter into further unseemly dirty-washing-airing here. Yes indeed, my feelings exactly!! Well put, that man! However, one positive aspect that has transpired, is the offer from E-Fun to contribute more to the forum, relating to aspects of EV manufacture and development, outside of the row with Mountain Chen. not a piece of aluminium insight.?? 1. My invoice (which was a private business document between us) is still showing. Remove that immediately. 2. My spare parts, as promised. You will need to pm me to get that arranged. It seems that it has been awhile since anyone has posted here. I am new to the forum and have been researching electric bikes and am very interested in getting something more powerful than the Zap scooter that I bought from a friend. So, of course, I came across the Xiamen Efun company. So far I like what I see, and although they obviously have had some design hurdles, it seems that they are selling more and more to different markets. Will I be able to import this moped into the USA without a problem? Or am I going to run into problems with US Customs? From what I have read, it appears that the moped must be in compliance with DOT standards and even might need some sort of label affixed to show that. Amoyee assures me that the bike is street legal and complies, but without any sort of certificate or label, I'm afraid that this 'motorcycle' is going to be stopped at customs and perhaps not allowed in. Does anyone have any experience in this? I have visited the factory and nobody who saw that factory would buy any of their product. Dealings with Mountain Chen will confirm that one should not do business with him. You will need to get approval from the transport authority, the same as Ford or Toyota do to get a new model to market. It may be simpler if you only want a single import. Don't expect any cooperation from Efun when you have to produce genuine tests to the authorities. I wish I found this forum and that thread earlier. Maybe it would have saved me from a lot of trouble. 16.with that said (and looking at the charging diagram of Winston LFP 60Ah) I run out of arguments. Does anyone else have this kind of problem with the Puma BMS? Does anyone have a wiring diagram and manual for the BMS (and the BMS monitor)? You are right, Puma stock BMS is crap, you should install a reliable product as soon as possible. The stock BMS does not perform the required balancing operation. 3,4V is >90% SOC in LiFePO4 chemistry. The graph you posted is incompatible with the LiFePO4 chemistry. During discharge in a scooter you should expect individual cell voltages to be in the 3,0 to 3,2V range most of the time. Your cell #9 must be suffering from some self discharge defect and you should manually recharge it in regularly basis. Your charger voltage is not correctly configured to 26s LiFePO4 charging (95V) and probably is configured to 24s (87,6V -> 72V nominal e-scooter). Is your charger an internal TC-Charger? In affirmative case they come factory preconfigured. Once you sort out all this mess you may then eventually enjoy the product.